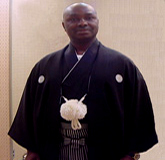 Japan Africa Network: Bridging the Gap in information between Africa, Japan and the world. The Swazis of southern Africa were guaranteed autonomy by the colonial British government in the late 19th century and granted full independence on the 6th of September 1968. Today, the kingdom of Swaziland remains is one of the world's last remaining monarchies. King Mswati has been on the throne since 1986 after succeeding his father, late King Sobhuza II, who reigned for almost 61 years. The king is the head of government and he appoints a prime minister from among elected members of a non-party house of assembly Most of the slightly over one million citizens live in the countryside and follow traditional ways of life. Economy: Most of the people of Swaziland depend on subsistent agriculture which employs about 70% of the population. Sugar, coal and quarry stone remain major foreign exchange earners since wood pulp producer closed in 2010. The government of the Kingdom of Swaziland also depend heavily on customs duties from the Southern African Customs Union (SACU), and worker’s remittances from South Africa, the country’s largest trading partner which receives almost 90% of Swazi exports and supplies 60% of its imports. Other major tourist activities in Swaziland include hiking, white water rafting, horse riding, mountain climbing and gambling. Location: Southern Africa having borders with Republic of South Africa to the North, South and West, and a very short border with Mozambique to the East. Swaziland is a mostly landlocked kingdom. Countries of Africa And Japan! With 54 countries and a total population of over 1 billion people, Africa provides lots of investment opportunities at some of the cheapest costs in the world in agriculture and mining, petroleum oil and gas exploration, manufacturing, sales and services. Surrounded by the Atlantic Ocean from the Northwest(Morocco) to South Africa; the mediterranean Sea in the North and the Indian Ocean from the East(Somalia) through South Africa, the beaches are paradise to tourists. The Sahara desert, and the Nile River are the World's biggest and longest deserts and rivers respectively. Kilimanjaro mountain in Tanzania at 19 314ft(5 895m) is the continent's highest. Archaeologists already traced our common ancestors, about 1.8 million years to Africa. Search for information on any Country of Africa or Japan. Enter Country Name!